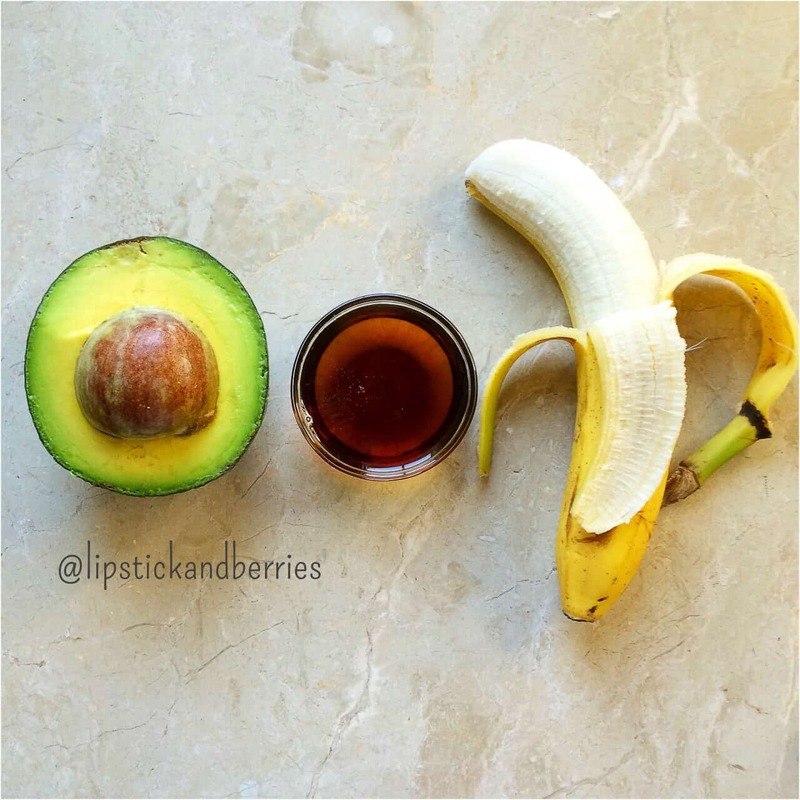 This truly is a hair mask that you could eat! Haha, and yes, I tasted it! Ok, so some of you may think I’ve gone completely nuts, and some may think that I’m just being getting in touch with my tree-hugger self (whatever, you know I’m a Glam Granola girl!). Well the truth is that I just thought it would be really fun to make a totally natural, inexpensive, and EASY moisturizing hair mask with ingredients you probably have on hand! From my 10 years, as a hairdresser, I know firsthand how important hair treatments are! 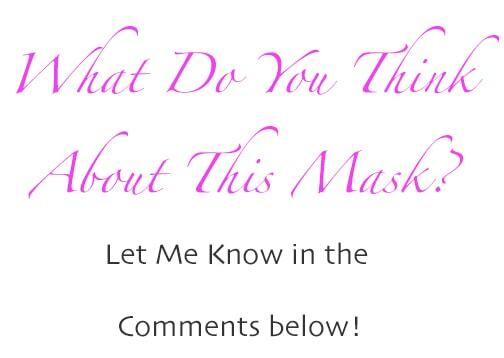 I love this mask, but don’t get me wrong, I still use my lovely natural skin and hair products from wonderful non-toxic companies. I just like to experiment! What’s life if you don’t try all kinds of new things?! 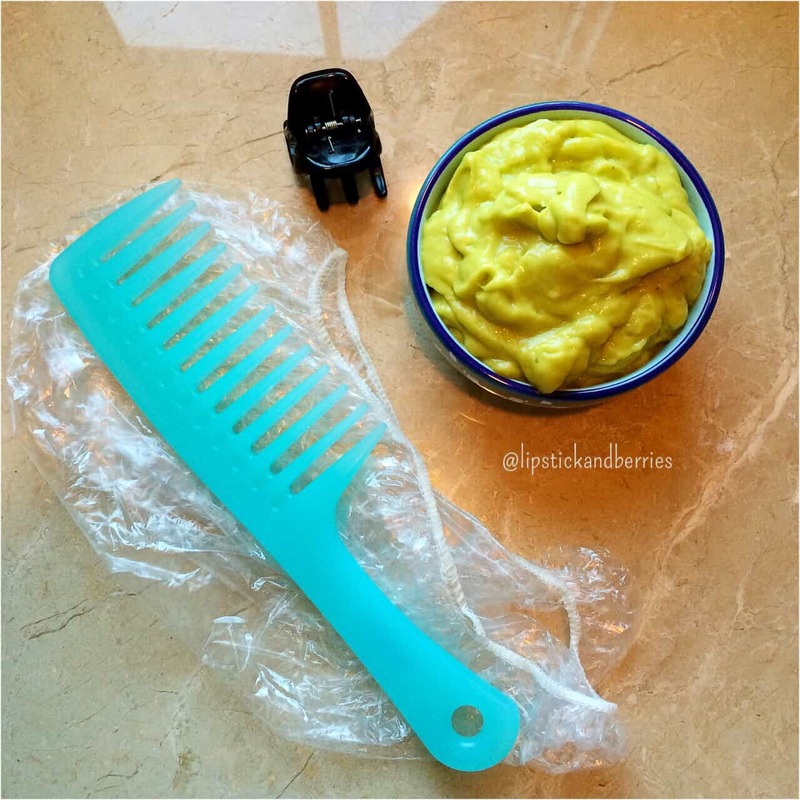 I only used 3 ingredients to make this hair mask! Banana is loaded with Vitamin B and Potassium which helps with hydration. -This amount works perfect for mid-length, average density hair. If your hair is super long or thick, you may want to double. -Apply to dry hair and leave on for 10-15 minutes. -Comb mask through hair with a wide tooth comb and clip up on top of head. -For intense treatment, place plastic cap over head and slightly warm with hair dryer to heat & open hair cuticle! -Rinse with cool water and shampoo just slightly with a sulfate-free, natural shampoo. If you use a regular shampoo it will strip all the natural oils off. I can’t wait to try this – great post!! I’ll def have to try this!